The Duke of Marlborough Overlooking the Magical Bay of Islands on the North Island. Claims New Zealands oldest Pub License. * Restaurant * Bar * Rooms range from a self contained bungalow on the waterfront to suites to standard rooms. 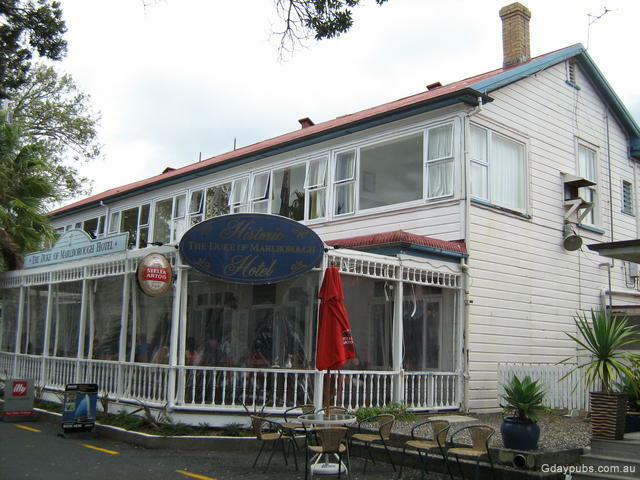 Russell Kororareka is a small, historic seaside village on a peninsula in the eastern Bay of Islands.